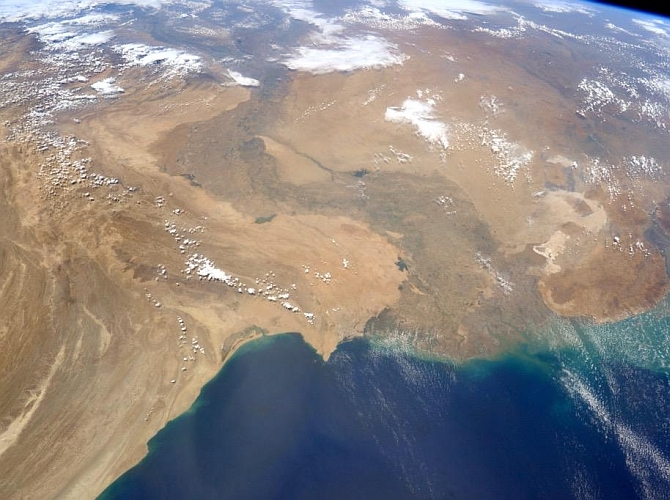 Rediff.com » News » Seen these stunning glimpses of India from space? 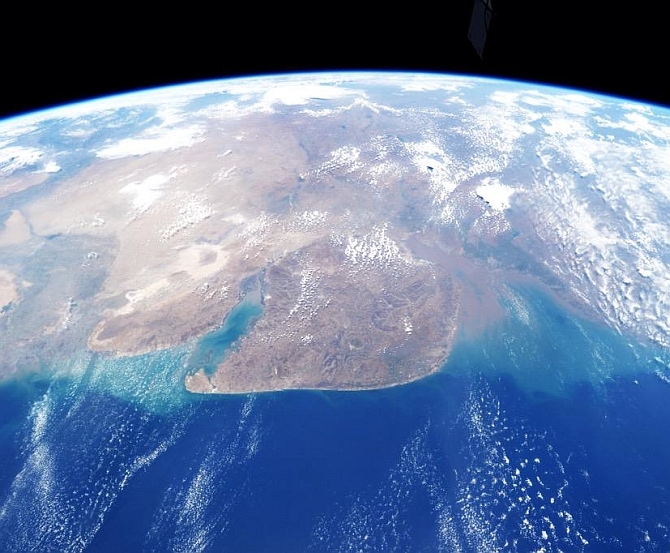 Seen these stunning glimpses of India from space? NASA astronaut Terry W Virts has been on the International Space Station since December 2014 as commander for Expedition 43. For the past week, Virts has been flying over India. He has chronicled his journey through numerous stunning images and fabulous videos on his Twitter page. 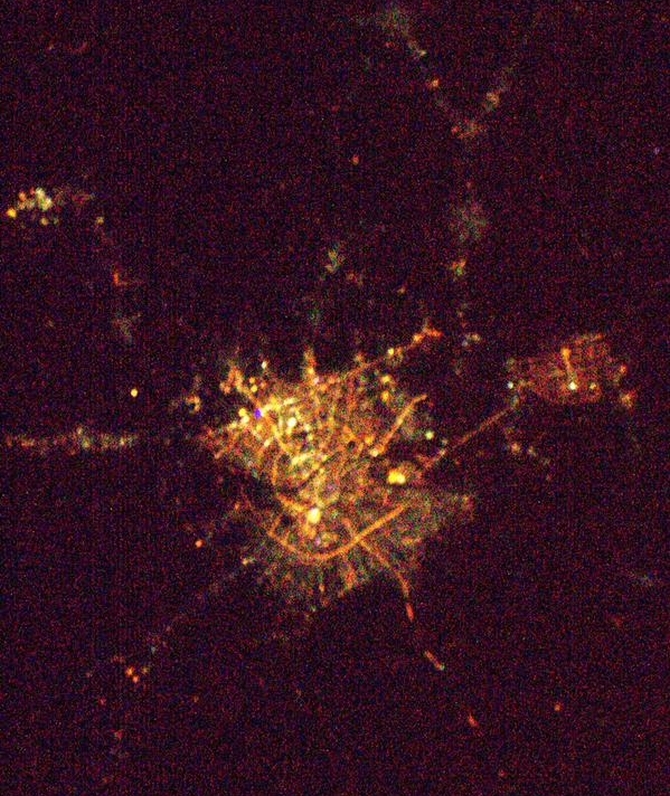 Virts says: 'Lots of colours in western #India, here is #Mumbai and #Ahmedabad, with #Delhi in the far distance'. 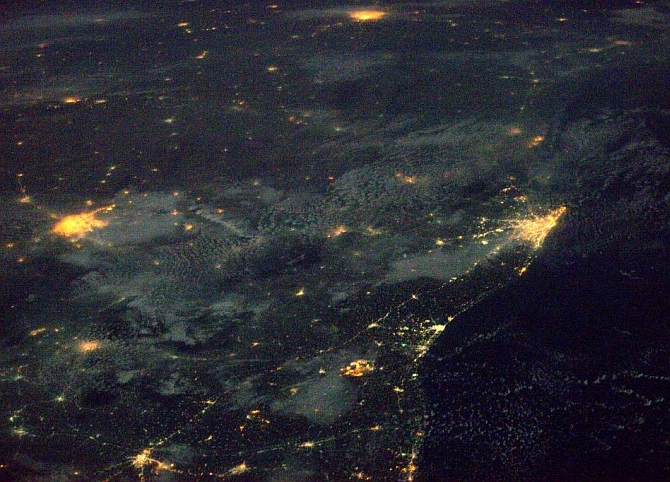 Virts says: 'Moonlit clouds over southeast #India coastline, with Chennai, Bangalore, and Hyderabad'. 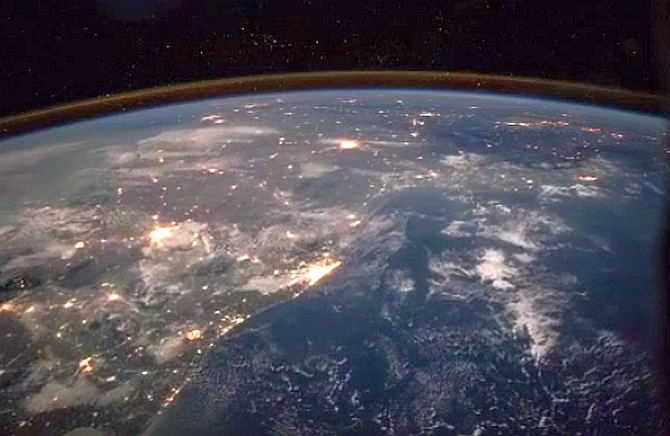 Virts says: '#India night flight along the east coast'. 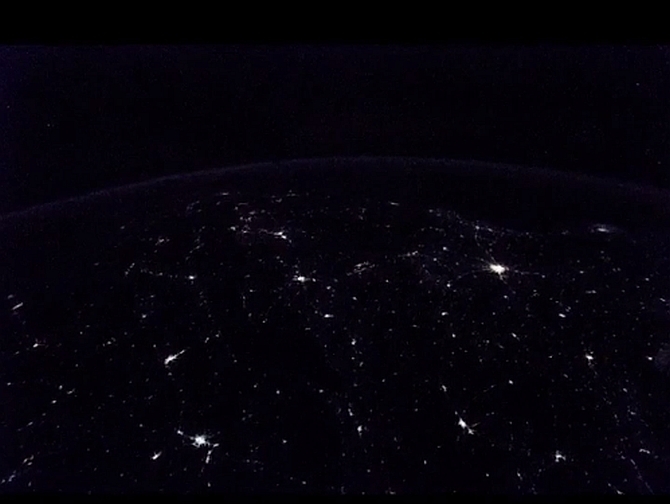 Virts says: '#India sparkles from #Delhi and #Ahmedabad all the way to #Chennai'. 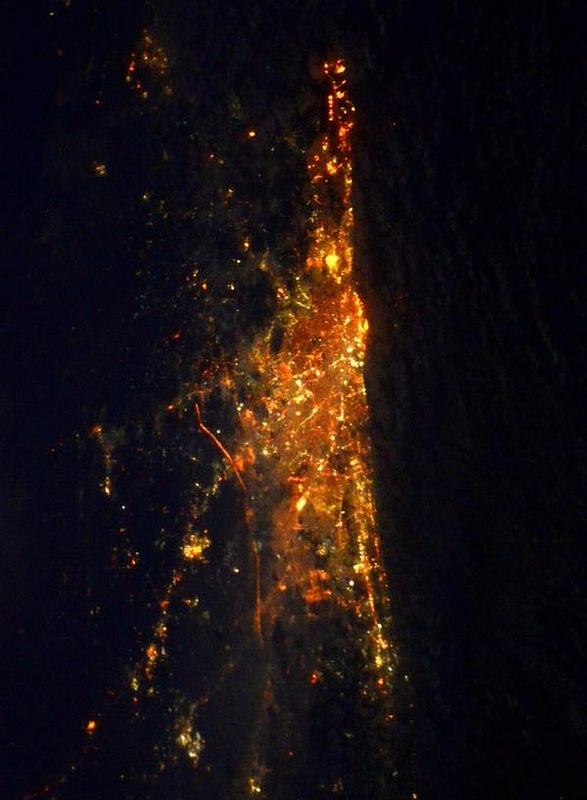 Virts says: 'Bright city lights from Chennai #India'. 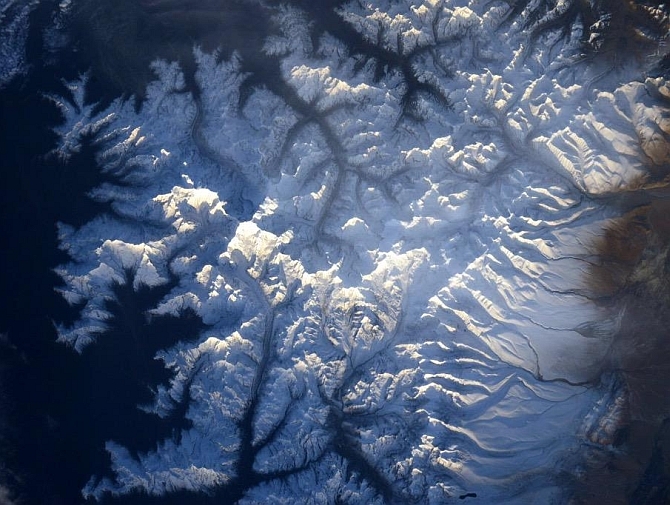 Virts says: 'The Himalayan peaks are amazing at sunset. Mt Kangchenjunga in sunlight, while the other peaks fall into shadow'.